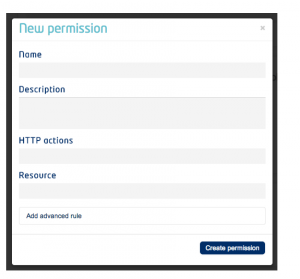 You can define custom roles for your applications via the IdM interface, then permissions for each role. 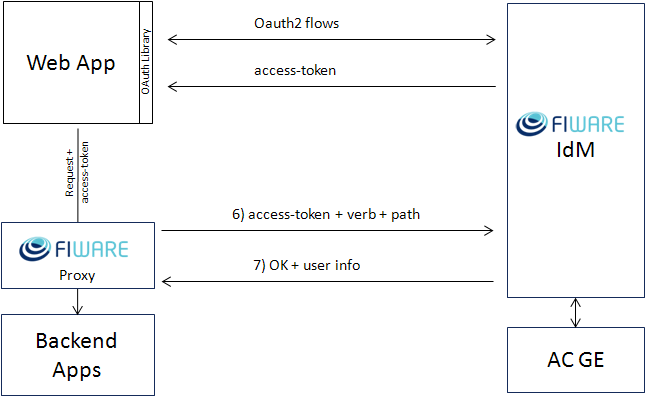 When you define new role permissions, the IdM commits the resulting access control policy to the FIWARE Access Control GE. From now on, for every access request, the FIWARE Proxy protecting your application requests an authorization decision (XACML) to the IdM GE which forwards it with extra user info to the Access Control GE. The Access Control GE replies with Permit or Deny Decision (XACML) to the IdM GE which in turn forwards the decision to the Proxy. The Proxy blocks the application request if and only if the decision is Deny.